By Steve Coleman at Perivan solutions. 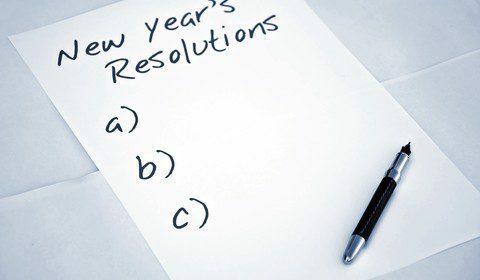 It’s the start of a new year, and if working smarter is on your to-do list, our round-up of resolutions for Compliance teams should help. January is traditionally a time for new starts. And while you may already be fed up with eating salads, eschewing alcohol and dragging yourself to the gym after work, there are some career resolutions that might be easier to keep. With the decorations down and the chocolates finished (hopefully) it’s time to look at how you can make life as a compliance professional easier and more rewarding in 2016. The Financial Conduct Authority (FCA) rarely stands still – new consultations, reviews and proposed changes to policy are announced regularly. For Compliance, being proactive means being aware of upcoming changes and making sure your firm is prepared. Luckily, the FCA website is a good source of advice and updates, with regularly-refreshed news pages. If you don’t already get it, sign up for the regulator’s monthly ‘Regulation Round-up’, a helpful summary of news, legislative change and regulatory rulings. Because of the FCA’s penchant for introducing new regulations and making changes to existing requirements, one key attribute for anyone in compliance is an ability to handle change. Just look at the regulator’s current activity – there’s the Asset Management Market Study; the Senior Managers and Certification Regime; the Mortgage Credit Directive; the constantly-changing scope of the banking sector review, to name just a few initiatives. Change is the only constant in the regulated world. Being able to adapt your approach accordingly is crucial. Taking stock of your current situation is always the best way to start improving. The online Risk Grader asks 10 quick questions to give you a snapshot of how risky your approach is. Understand where you need to do better (or give yourself a gold star, depending on your score). If improvements are needed, it will give you a clear picture of where you should focus your attention. Making sure your promotions are compliant is no easy task, so getting the basics right is vital. Strong compliance cultures are built on solid foundations. This means making sure everyone in your firm understands the need for compliance approval of financial promotions. Do they know what constitutes a financial promotion? (If not, you might want to contact us). Make sure everyone in your team has the right training, and that you have compliance guidelines, which are easily-understood and clearly communicated. How are your financial promotions compliance processes? If you’re like most firms, they could probably be more efficient. Because the compliance role is changing, and you’re increasingly viewed as a strategic partner to the business, it’s vital that your processes enable you to live up to expectations. Being bogged down in compliance admin makes it harder to focus on the ‘big picture’ issues you’re asked to deal with. Make 2016 the year you review your processes: are they as lean as they could be? Are there systems or technology solutions that could help reduce your admin burden, or other ways you could make better use of your time? Often, Compliance and Marketing are seen as being as different as chalk and cheese. But actually, you have many of the same aims – a key one being to promote your firm in the most effective and compliant way possible. Working with Marketing at the early stages of the financial promotion production process can make step-changes in the speed of approval and the amount of work your team needs to do to make material compliant. A common misconception is that compliant = staid. The FCA has made it clear that this isn’t the case in their eyes. In 2014, the regulator launched ‘Project Innovate’, an initiative designed to help financial services firms to innovate in a compliant way. As part of this initiative, the FCA’s online innovation hub and proposed ‘regulatory sandbox’ give firms the chance to test new service delivery methods and products in a risk-reduced environment. With the regulator supporting pioneering approaches, there’s no excuse not to look at more innovative ways to deliver and promote your products and services. Increasingly, compliance is seen as a core aspect of a firm’s operations, not a bolt-on to be ticked off at the end of a project. This is reflected in the FCA’s approach; the regulator has spoken of its hope that firms will police themselves more, with less need for heavy-handed intervention. Making sure a compliant ethos runs through your firm like the writing in a stick of rock is not easy – but very worthwhile in terms of your job satisfaction, the business’s reputation and your ability to meet regulatory requirements. Social media can be a bit of a bugbear for Compliance teams. Fast-moving, responsive and open to anyone, it has the potential to cause problems for your firm. But it’s an accepted part of marketing strategy for almost all firms. Making sure your social media approach is compliant as well as compelling is essential if Compliance teams are to sleep well at night. The good news? – it’s not difficult to make sure your firm takes a compliant approach to Twitter, Linkedin, Facebook and whatever other social media platforms you use. Some basic guidelines and an understanding of the FCA’s stance are an essential first step. I will make sure I’m being paid what I’m worth! At the end of all this effort, make sure you’re being appropriately rewarded. A recent survey predicted that compliance associates will be among those seeing the highest pay rises in 2016. Partly this is in response to the increasing complexity of the regulated environment, and the amount of work Compliance teams need to undertake to keep on top of what’s required. Take the time to benchmark your salary against industry averages to make sure you’re being paid what you deserve! 2016 looks like being another challenging year for Compliance. By setting a few goals at the start of the year, you can make sure you rise to the challenges coming your way. Why are Compliance and Marketing like chalk and cheese?